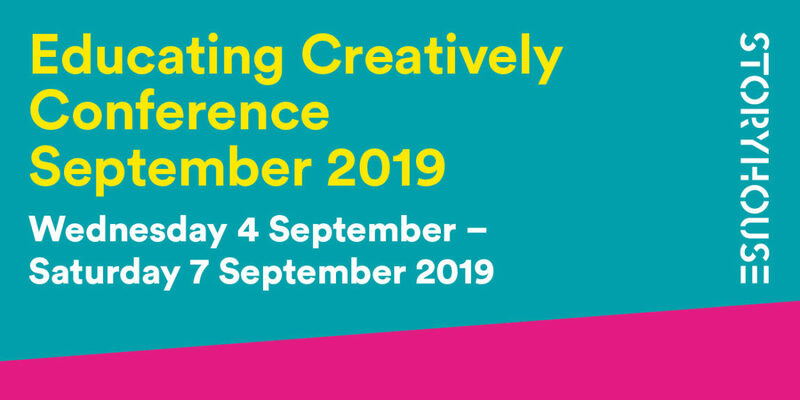 Educating Creatively is a brand new creative conference for education, cultural and creative professionals, teachers, artists and practitioners. 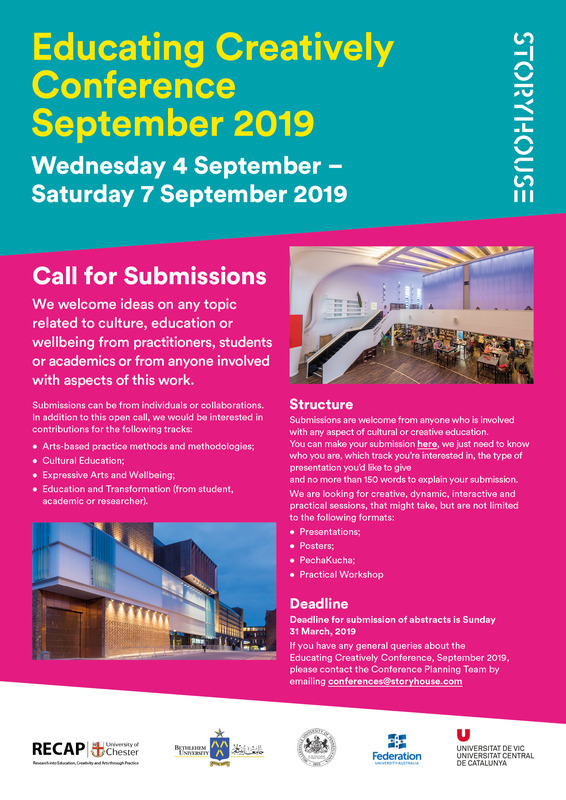 The conference will explore and celebrate creative education, incorporating cultural practice into education, the study of creative practices, and the connection between those and wellbeing. This will be a space to bring together creative and education practitioners to celebrate, share and learn. The conference will include keynote talks, performances, papers, practical workshops, pecha kucha and opportunities for networking. 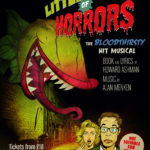 It will be hosted in Storyhouse, the multi award-winning arts hub and cultural centre, theatre, cinema and library, in Chester. We welcome submissions to share creative, dynamic, interactive and practical sessions. The deadline for submission is 31 March 2019. Find out more about submissions here. For more information, please email conferences@storyhouse.com.